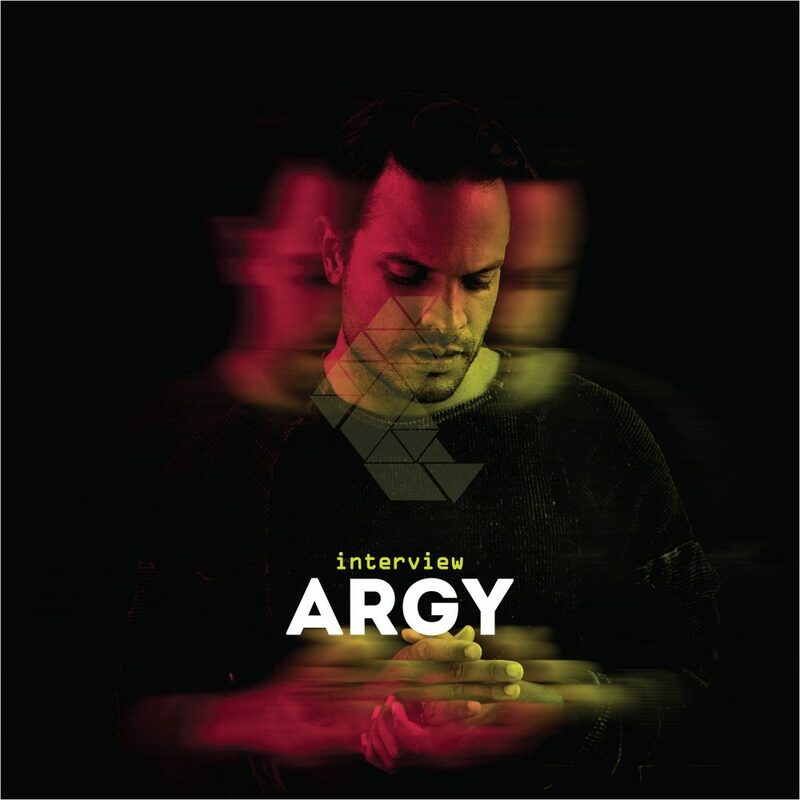 In his time, Argy has excelled at everything from minimal to house to techno, with a stream of excellent EPs and no fewer than four LPs on labels such as Cocoon, Desolat, Cuttin’ Headz, Play It Say It, Crosstown Rebels and most recently Moscow records. Argy recently released his latest EP ‘Worthless’ on Damian Lazarus’ Crosstown Rebels. We had the pleasure to chat with the man himself – Argy about the production behind ‘Worthless’ EP, a look-back at 2018 and what’s to come for him in 2019. Hello Argy and thanks for taking the time to do this interview with us. Where are we catching you and what are you up to? My pleasure and thank you. I am in Ibiza at the moment, working on some new music, i feel very inspired at the moment. Everything flows naturally so I can’t miss this wave of creativity and just trying to make the most out of it. I live in the mountains so there are no distractions here. Your first release on Crosstown Rebels, a three-track, dance-floor EP ‘Worthless’, is out now. In an answer to some people saying that ‘tech-house is a synonym for non-credible dance music’, you say you believe it’s supposed to be the best of both the house and techno worlds. You state that with the Worthless EP you wanted to ‘prove the skeptics that there is a way of doing it- serious, but still fun. Fun but not funny’. Do you believe you stroke the right balance with this EP? Just to clarify, I am not against any kind of music. Artists can express themselves as they feel. But I grew up thinking that ‘Tech-House’ was a cool and credible genre, not a synonym for poor quality. What I don’t like is to see the genre being used to describe music that is not credible. As far as my own EP, it’s very difficult to judge your own work, but I did my best to make something functional for the clubs and craft my sounds with ‘Meraki’, a word we use in Greece to describe a labour of love, when you put “something of yourself” into what you’re doing. It’s something for the House, Techno and Tech-House DJ. Can you tell us more about the Worthless EP. It’s a dance-floor EP, combining groovy, tribal and dark sounds all-together. How did the EP come about, and why Crosstown Rebels? Did you record it to fit the label and its sound, or was it picked-up by them after you made it? Damian Lazarus approached me back in 2005 for some music for Crosstown. It was always in the back of my mind, but I never really had the right sound for the label up until lately, when Damian heard ‘Worthless’ and immediately wanted it. By that time I was already working on ‘Get Ready’ and I just produced ‘La Vida’ based on what was missing on the EP just to round it up nicely. I feel like i have to please everyone with my EPs, which of course is not realistic! 2018 has been a prolific year for you with releases on Crosstown Rebels, Rebirth, Cuttin’ Headz, DJ Central Records, Play it Say it and a remix for Anja Schneider on her new label ‘Sous Music’. How do you feel about the year as it is coming to an end, what are the high points as well as learnings for you from 2018, and can we expect any new releases for the remaining of the year? I am dropping a record on Archie Hamilton’s Moscow Records in late November. It’s more minimal and trippy, it’s cool to end the year with an understated record but what I consider as a timeless effort. Could have been an EP from the end of the 90s or a very recent release. ‘Siesta’ is inspired by American East Coast House music and ‘Sing it!’ is more German sounding I would say. I was thinking of Tobias’ ‘Street Knowledge’ when I was making it, to keep it rolling and bring the vocal every now and then. 2018 taught me that music flows beautifully when you stop over-thinking and you are confident with your taste and capabilities. Speaking of from start to finish dj (all-night long) sets, what is your take on the heated topic from the last 1-2 years about giving djs longer slots than 1-2 hours at some clubs, events or festivals? What do you personally like about all-night long sets and do you prefer it to shorter sets? Some venues are just for 2 hour sets to be honest. Not every place can hold a full-on ‘all night’ experience and needs the resident to do his thing for the opening and perhaps then close the night too. I do all night sets where its natural and don’t try to force myself to dominate the whole night when its not appropriate. My Mykonos summer residency at MONI is always an ‘all night’ event for me and I adore it! What are your weapons of choice at the moment, warm-up, peek and closing tracks? I don’t have favourite DJ weapons to be honest. Just some artists that are always in my USB sticks, because their beats and atmosphere fit my vibe. Artists such as Tyree Cooper, Sydenham, Vince Watson, DJ Bone, stuff from my label THESE DAYS records, DJ Gregory to name but a few. A quick flashback, what are the artists and genres that have shaped your sound and inspired you the most over the years? Just what we consider today as the ‘Old School’. I take all my inspiration from the 90s, the European and the American sound, but also what was popular during those days in Japan for example. Because of the absence of social media I think people were less clued-up of what was going on, so there was more space for those happy accidents that sometimes became ‘Classics’. We have been to many events in Greece over the past few years, including annually visiting and partnering up with our friends in Thessaloniki – Reworks Festival. How was it for you growing up in Greece, and how did you see its 90s, early 00s electronic music scene? It was amazing, because just like Italy, we LOVE House music in Greece. So I was spoiled with Morales, DJ Yellow, Vega, Claussell from an early age which totally shaped my sound and made me move to more uptempo productions. I started making trip house and chill-out music in my early teens. What are the similarities and differences between the UK electronic music scene and the one in Greece? And, although we know you don’t like to get too political, how do you think Brexit is affecting (and going to affect in the future) the electronic music scene in the country? The main difference is that in Greece the folk sound is very prominent and I think that’s fair enough. For the UK, electronic music is second nature nowadays. I don’t think BREXIT is going to affect in any way the music. Music innovation comes from new music software, social media influences or new drugs these days, rather than political changes. What more can we expect from Argy for the remainder of 2018 and can you share any teasers about what’s coming up for you in 2019? Just ending the year with more releases, plenty of work in the studio and a busy DJ schedule in December. I hope to be as prolific next year as I have been in 2018 and the rest will follow! Thank you for the interview Argy! Thanks for taking some time to do some research! Not many interviewers do that! Connect with Argy on Facebook and SoundCloud.